In previous versions of Audio Presenter it was possible to control the iPhone version remotely with the Apple Watch, but the iPad version didn’t have a way to be controlled remotely since the Apple Watch doesn’t support direct communication with the iPad. Audio Presenter provides a solution. If you also have an iPhone with Audio Presenter installed, you can use it to remotely control Audio Presenter running on an iPad. This can help in circumstances where you want to leave the iPad connected to your sound system and keep your iPhone with you as you move about. ​With Audio Presenter running on both your iPhone and iPad, select the remote button at the bottom of the home screen. Make sure the iPhone and iPad are nearby and have wifi enabled. It’s not necessary that they are connected to a network, but wifi must be turned on for them to communicate with one another. While the two devices are still in the process of establishing a connection the title “Connecting …” will be displayed in the window. Once a connection is established, the iPhone screen should display the contents of the current iPad display. If the iPad is on the home screen then a list of playlists will be displayed. 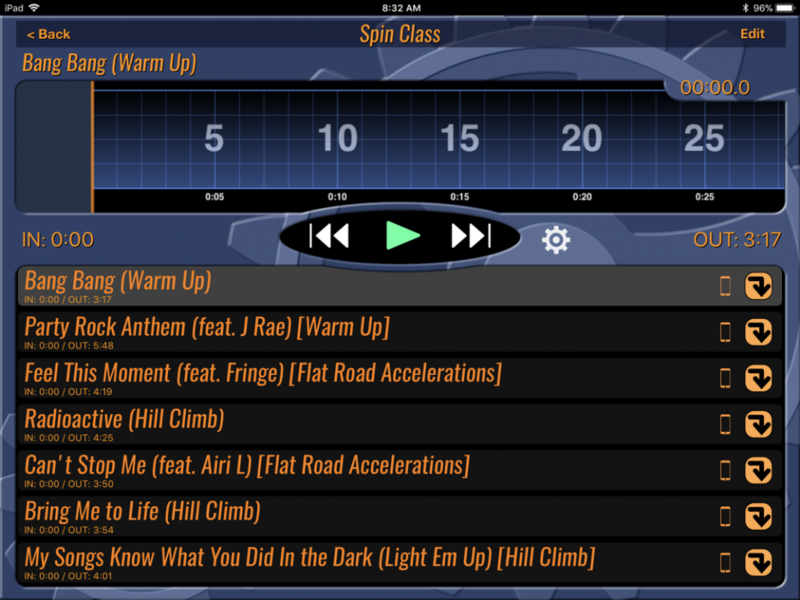 If the iPad is on the performance display then a list of songs will be displayed. Whatever selections are made on the iPhone will be reflected on the iPad and whatever selections are made on the iPad will be reflected on the iPhone. AND, if you have an Apple Watch, you can use your watch to remotely control the iPad while Audio Presenter on the iPhone is remotely controlling the iPad.